Client’s Chennai facility was generating about 50KLD of sewage on a daily basis. The sewage was being treated in a conventional Activated Sludge Process (ASP) wastewater system. The ASP system was more than a decade old and quite timeworn. It was reaching its limits with frequent breakdowns, and continuously failing to deliver the desired output quality. The client had meanwhile added more workforce, and was exploring a brand new sewage treatment plant of an increased capacity of 60 KLD. Their requirement was for a system that would effectively treat the sewage and produce high quality water that could be reused in their process, be able to meet the Pollution Control Board (PCB) norms, and also reduce their raw water intake. Client evaluated and finally chose a membrane bio-reactor (MBR) solution, due to its capability of minimizing unit operations while still producing high quality, ultrafil-tration-grade water for their use. New technologies have emerged over time to treat and recycle water, that are environmentally friendly and sustainable, with minimum space requirement and minimal chemical usage. 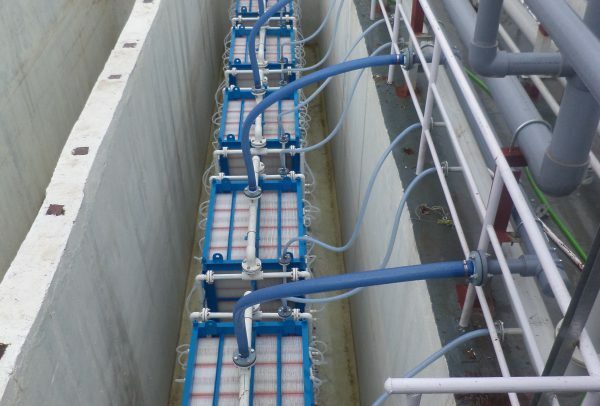 Membrane Bio Reactor (MBR) is one such membrane based technology for wastewater treatment that is far superior in terms of product water quality and process control. 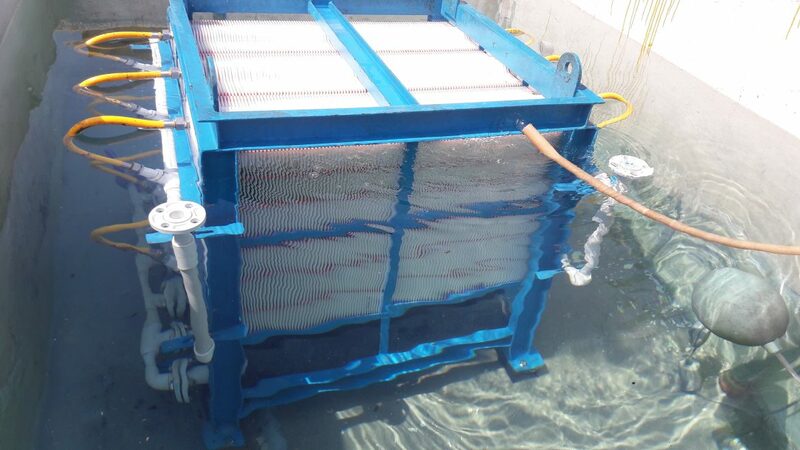 Whilst ASP has a secondary clarifier followed by media filters and then ultrafiltration membranes, MBR completely eliminates the secondary and tertiary treatment process. The treated water after MBR is much superior to the one achieved after conventional activated sludge, and can be directly used for recycling. MBR being a robust membrane, the feed limiting conditions can be flexible and beyond the limits of a conventional activated sludge process. As the units of operations get reduced in MBR, power and chemical consumption also reduces considerably when compared to conventional systems. MBR technology is thus most reliable as compared to all other existing wastewater treatment processes, and in today’s times of water scarcity, can play a pivotal role in recycling water and saving fresh water consumption. 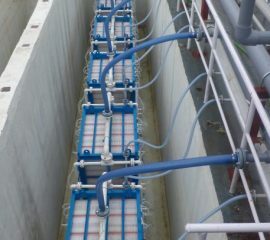 After reviewing several membrane options, the client finally selected QUA’s EnviQ® submerged MBR membranes. EnviQ® was preferred due to its unique patented process of manufacturing, which provides rugged flat sheet membranes with a pore size of 0.04 micron, resulting in high grade ultra-filtration quality water. Due to the frameless design, membrane cartridges are able to withstand high organic load while minimizing biofouling. QUA is the leader in advanced membrane technologies providing solutions for the most demanding water purification requirements. QUA manufactures the highest quality membrane products for water treatment plants all over the world. Headquartered in USA and with offices located around the world, QUA has the personnel and logistical capability to offer complete service and support to our customers and partners through pilot testing, field service and training.